Widely touted as the world’s oldest analog computer, the Greek-made Antikythera Mechanism was salvaged from Antikythera, an underwater location, south of Greece, in 1900. And since then the proverbial ‘contraption’ has astonished archaeologists and scientists alike, by virtue of not only its advanced workmanship but also its fascinating (and rather enigmatic) purpose/s. To that end, the artifact is often also stated as the world’s oldest gear ‘machine’ (based on the workings of the differential calculator) – crafted to predict various complex astronomical observances, including planetary positions and eclipses. The reconstruction in question here was made by historian of mechanism (and mechanician extraordinaire) Michael T. Wright. He also made an actual working model of the ancient contraption, which has been presented in another video below the animation. Now in terms of history, there are various unsolved mysteries pertaining to the true creator/s of the advanced historical object, with potential candidates ranging from craftsmen of Corinth to ‘engineers’ of Pergamum. But previously most historians did settle on a singular factor – the origin date of the Antikythera Mechanism was believed to be from around the period of 100 BC. But now even this date is challenged, as a result of the detailed study undertaken (in 2014) by James Evans from University of Puget Sound and Christián Carman from University of Quilmes. 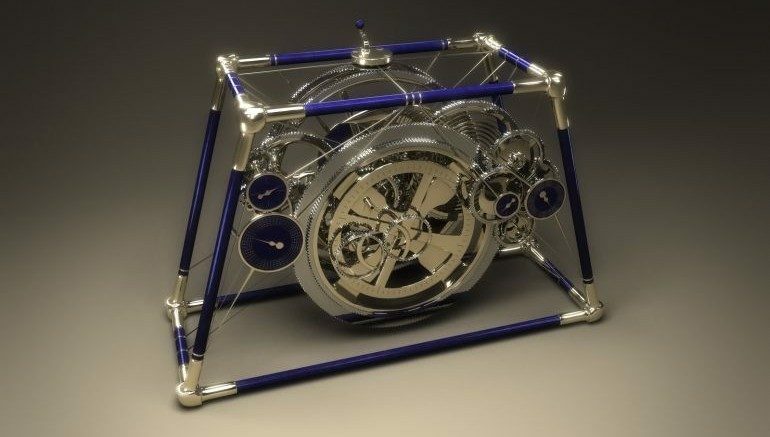 Their analysis was based on the reconstruction of the Antikythera Mechanism, achieved by John Steele of Brown University in 2008. The process entailed the functionality of the device itself, with the assessment of the planetary anomalies, solar eclipses and inaccuracies (resulting from the missing part of the ancient device); and their subsequent matching against Babylonian eclipse records. Then a procedure of elimination was adopted, which allowed Evans and Carman to discard numerous eclipse patterns. Finally, the duo stumbled across a matching eclipse scenario, and the date was fixed to the year of 205 BC. In essence, the world’s oldest analog computer is hypothesized to be even older by around a hundred years than previously thought. This newer direction of analysis alludes to two interesting conjectures. 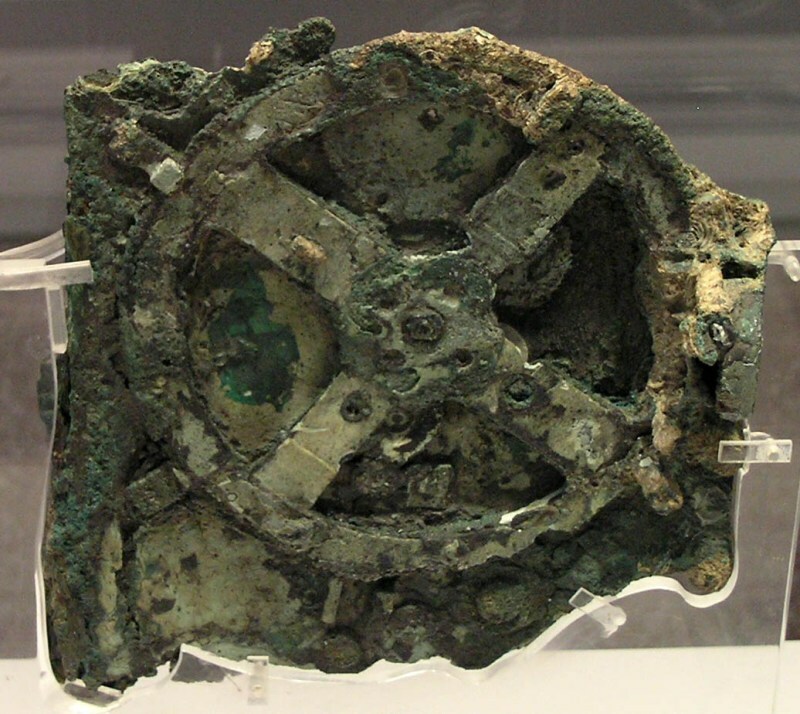 Firstly, the Antikythera Mechanism was quite possibly based on the mathematical scope put forth by the earlier Babylonians, as opposed to the later-developed Greek trigonometry. Secondly, this ancient piece of machinery might have been the very same device mentioned by Cicero – which supposedly was crafted by the great Archimedes himself, and was taken as booty by Roman general Marcellus during the sack of Syracuse in 212 BC. Additionally, more recent assessments have further hinted at the possibility that there were more than one of these devices, and they were probably built by more than one person in the island of Rhodes. And finally, in case you are interested in more modern ‘fun’ iterations of the enigmatic Antikythera Mechanism, you can take a gander at the reconstruction by Andrew Carol, an engineer from Apple, who incredibly recreated a working bigger version of the machine by using Lego blocks.